The recent blast of arctic air hitting all 50 states confirmed it: winter is coming. There’s a silver lining, though: falling temperatures are an excuse to treat yourself to a new pair of boots. Boots are one of the most essential staples in fall and winter, whether you need your Friday night heels to have more coverage or you need your commuting shoes to have more grip during the occasional rainshower. In one form or another, boots are probably the one thing you know you’ll be wearing every day, so it’s time to invest in a pair (or two) that you love, that are stylish, that will last, and that will protect you from the elements. We have a few perfect pairs in mind. Sorel Winter Fancy II Boots, $150 If you're heading to the mountains or traveling to a snowier place this year, you'll want some good snow boots. You want to stay dry and warm and upright but you don’t want to sacrifice style, and these Sorel boots are the trick. Their winter-ready rubber body is contrasted by a more polished, buckled leather shaft (still waterproof), and they’re lined in cozy fleece. Umber Over-the-Knee Boots, $149.95 Over-the-knee boots are one of the biggest trends going, and this flat pair crafted from soft yet structured suede is an effortless, versatile way to work the look. Understated with just a hint of rugged cool to them, they’ll pair easily with leggings, tucked-in jeans, casual mini dresses and chunky knits. Bonus points for the treading on the sole which will help avoid sidewalk spills. 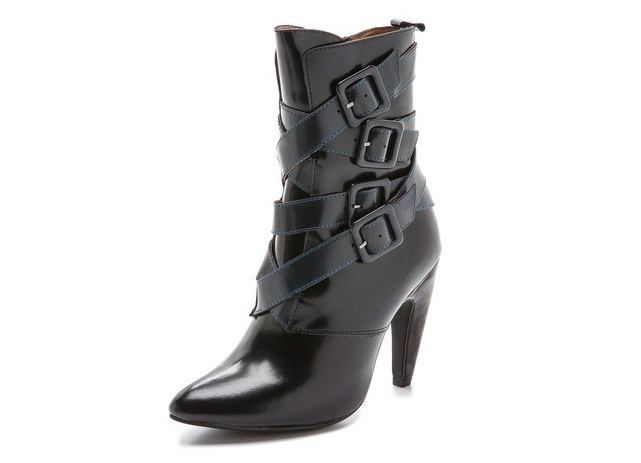 PATRIZIA Donjon Motorcycle Boots, $44.99 These classically cool motorcycle boots are the kind of pair you can and will want to wear every day with everything: they’re flat, comfortable and walkable, they have just a hint of downtown attitude, and they go with just about every weekend outfit you have. The chunky heel will give you just the slightest hint of height, and the leather is the kind that will only look better as you wear it in. 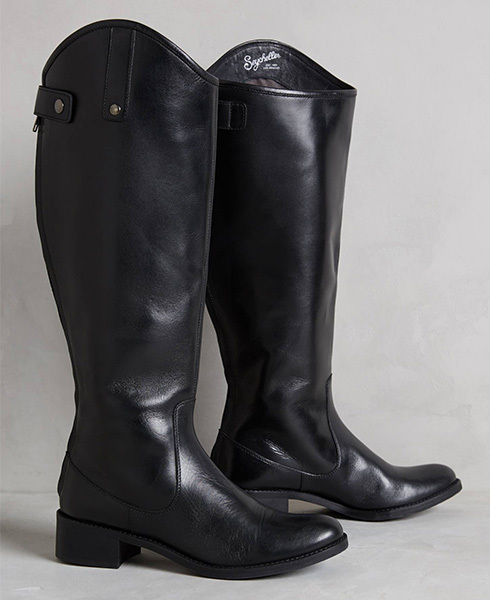 Seychelles Flattered Leather Riding Boots, $200 Nothing is more classic than a flat riding boot in rich, polished leather, and this Seychelles pair at Anthropologie hit the mark. Sharp and sophisticated with a glossy finish, these knee-high boots will instantly pull together even laid-back outfits and will make a nice companion to more tailored, wintertime office ensembles. Jeffrey Campbell Destroyer Booties, $235 A sleek leather style wrapped in buckled straps, these ankle boots are about to become your best friends for going out. They’ve got a flattering pointed toe and hit that perfect balance with a 3-inch heel (read: chic but not painful), and the straps add a nice dose of fashion-forward edge. 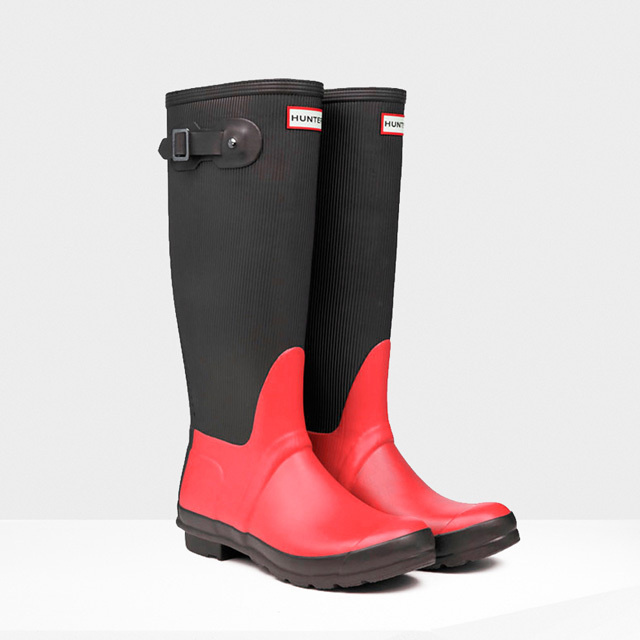 Hunter Women Original Ribbed Leg Wellington Boots Bright Coral, $225 Nothing ruins your day quite as fast as stepping in a deep slush puddle without the proper footwear. Inspired by deep-sea wetsuits, these waterproof boots are handcrafted from 28 rubber parts. 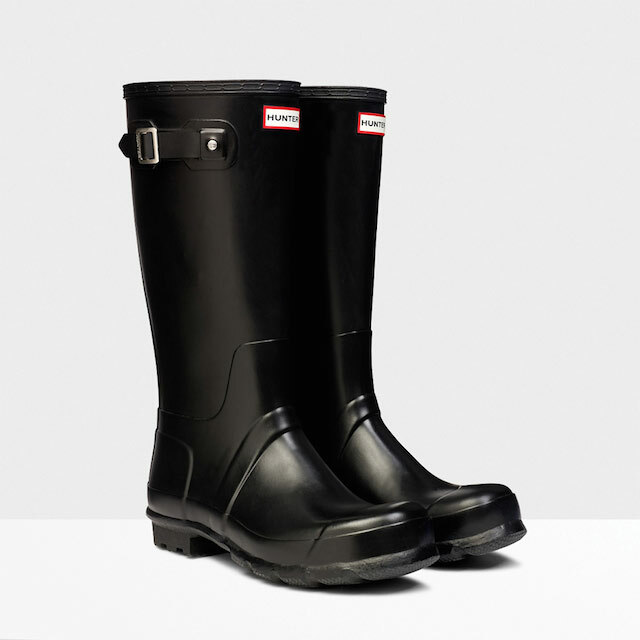 The textural and color contrasts highlight the iconic shape of the boot, keeping you dry and timelessly stylish. Nine West Powerhour Suede Ankle Boots, $103.99 Minimalist and refined with a sleek yet walkable heel, these suede ankle boots are just what you need for days at the office or nice dinners. A rubber sole will give you some traction, even if these are the more dressed-up boots you change into once indoors if the weather’s kind of awful. They’re still so worth the investment with their timeless aesthetic and rich suede. 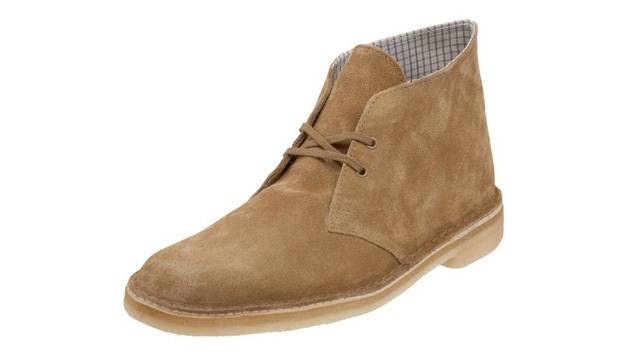 Clarks Originals Desert Boots, $39.99 to $159.43 Simple, cool and classic, these suede desert boots are necessary for the days you don’t want to have to think too long about what goes on your feet. The minimalist style crafted from soft suede will be comfortable and will complement both work and weekend looks. 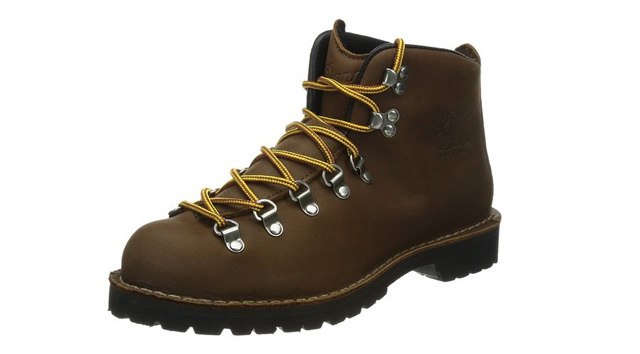 Danner Mountain Light Timber Boots, $329.95 These hard-wearing leather lace-up boots are necessary in your closet whether they’re everyday shoes or emergency plans for bad weather, outdoor trips, days of manual labor - they can do it all. Without being clunky or unattractive, these boots manage to have that whole sturdiness element down. Their lug sole provides plenty of grip and they’ll keep you warm, dry and protected. 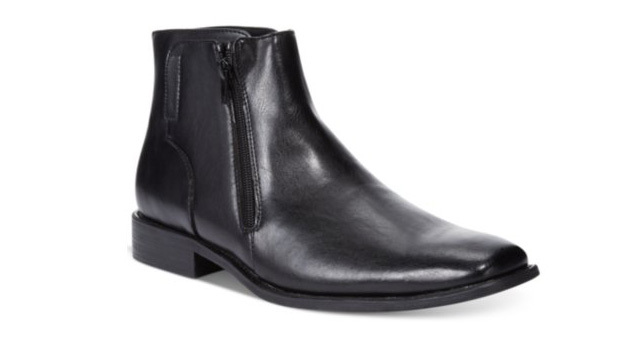 Aldo Thiago Boots, $129.98 Suiting up for fall and winter doesn’t mean forgoing dapper style. These finely detailed lace-up boots have a wingtip look with more coverage for a sartorially clued-in finish that’s nice and polished. They’ll give you that hip, London-esque vibe while maintaining a needed sense of warmth. 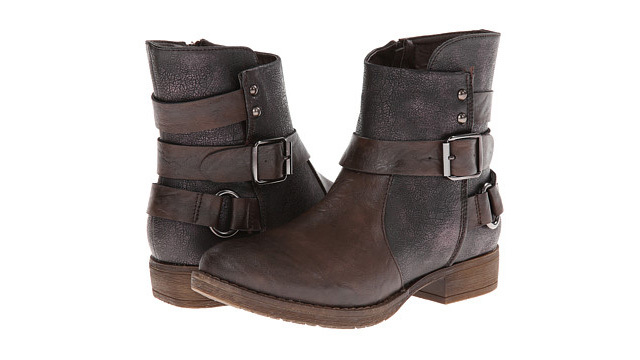 Steve Madden Mofit Boots, $67.99 Following along that sort of British-cool, sophisticated yet modern vibe are these dark brown lace-up boots, detailed with some brogue-style elements and some more casual stitching. Side zippers make them all the more quick and convenient, while a rubber lug sole ups their durability factor. Hunter Men's Original Tall Wellington Boots, $150 As nice as snowfall looks when it's coming down, we all know it doesn't stay that way for long. 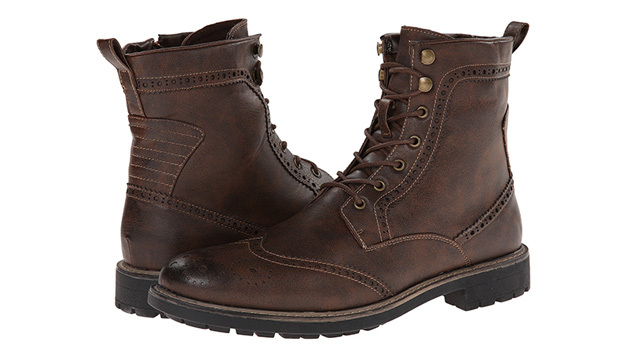 Deal with the puddles and snowbanks in style with these rugged yet sleek boots. Built to last with exceptional fit, comfort and a sturdy aesthetic, their innovative vulcanized rubber ensures protection from the weather. Unlisted Leather Boots, $39.99 Keep looks streamlined and sophisticated with these sleek leather boots, subtle and understated save for their side zippers. This pair is your answer for when you need the coverage of a boot without throwing off a suit or office-ready tailoring. This post is part of our 2014 Holiday Gift Guide partnership program. SFist receives revenue from the links in this article if you click to buy, but the product choices are ours! Courtney Iseman is a writer who is willing to make the tough sacrifice of constantly shopping so she can report on the best ways to do it in New York. You can read her thoughts on things like fashion and folk bands at courtneyiseman.com.